When you are looking for a bespoke and chic entrance to your garden, our uPVC French doors will really enhance your home. Designed with beauty and practicality in mind, these stunning double glazed doors will provide you with a beautiful addition to your property. Omega supply and install beautiful uPVC French doors in Margate, Kent, Faversham, Ashford, Kennington, Hythe, Folkestone and Dover that will connect your home and garden seamlessly. You will be able to enjoy a wonderfully light living space and expanded views with a vast glass area, making your home feel bigger and brighter. uPVC French doors are perfect for opening up rooms within your property, as well as uniting your outdoors area with your home. Whichever room you wish to enhance, be it your living room, kitchen or conservatory, a uPVC French door from Omega will create a flawless entrance. You will benefit from unrestricted access to your property with the added advantage of improved ventilation and natural light. 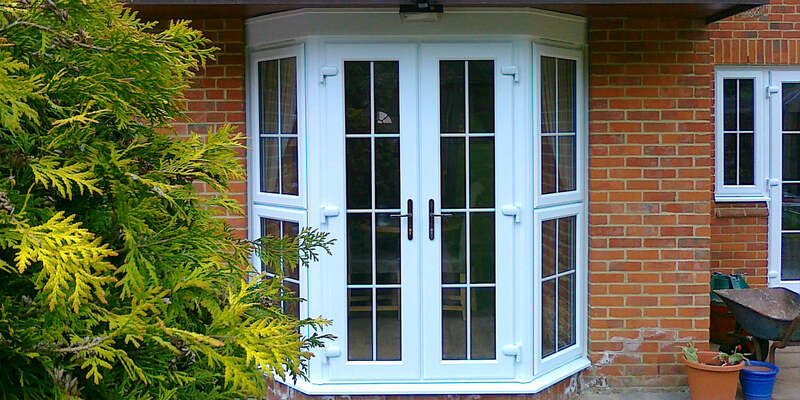 Our range of uPVC French doors come from the market leading manufacturer, Deceuninck. They are well known for their expert craftsmanship and timeless, yet cutting edge designs. Using traditional design, the Deceuninck uPVC French door matches the beautiful profile of wooden French doors. These contemporary French patio doors provide you with a simply stunning look that which lasts for many years with little maintenance. Whatever space you have, these incredible French doors can be adapted in design to accommodate it. You can choose from either in-swing or out-swing doors and a range of attractive styles. You will be delighted with the performance of our Deceuninck French doors which have been engineered to provide years of outstanding service thanks to their strong uPVC profile. For wheelchair users, or people with mobility issues, our uPVC French doors are available with an ultra-low aluminium 15mm threshold enabling enhanced accessibility. Our double glazed French doors are available in either the sculpted or chamfered range, and are internally beaded. They have been designed to complement our vast range of gorgeous uPVC windows. For exceptional thermal efficiency, our French doors feature 28mm Kitemarked toughened sealed units and tight weatherseals. Our uPVC French doors achieve a considerably impressive overall frame U value of 1.5W/m2K. Keeping your home and family safe is a priority, so all of our French doors come with high security locks, anti-snap barrels and anti-drill barrels as standard. There is also the added option of Secured By Design claw locks, laminated glass and extra reinforcing. Our uPVC French doors are available in an extensive range of colours and finishes, so you can choose the perfect colour for your home and your tastes. They can either tie in with your uPVC windows, or be in contrast with them, it is totally up to you! Add to this the incredible variety of glazing options, and you will be able to create a truly bespoke double glazed French door for your home. 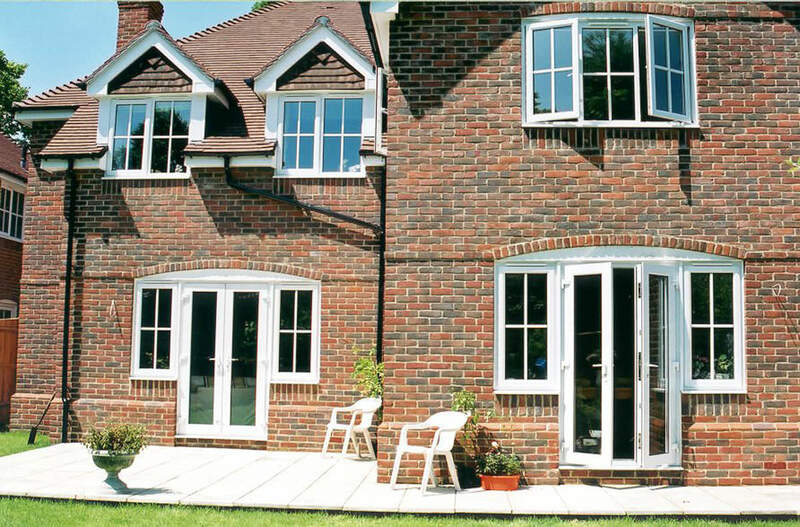 We offer exceptionally competitive uPVC French door prices to homeowners across Kent. For a personalised price, start your online quote! It’s so easy, simply enter your specifications and our intelligent calculator will do the rest, providing you with an almost instantaneous tailored quote. It’s free, and there’s absolutely no obligation attached.